Spotify is a terrific streaming music service that gives you a lot of different ways to find and enjoy songs. Some of the songs that you encounter will be tagged as explicit, meaning that they might contain profanity. If your child often listens to music on your device, you might be worried that they will hear something you don’t want them to. 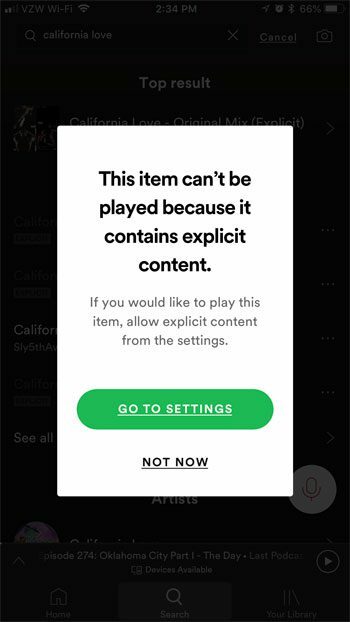 The iPhone Spotify app has a setting that can handle this interaction for you, so that explicit content can’t be played back unless you provide your fingerprint to re-enable the setting. Our tutorial below will show you where to find and adjust the Spotify explicit content setting so that you can use it as you see fit. The steps in this article were performed on an iPhone 7 Plus, in iOS 11.3, using the most current version of the Spotify app that was available when this article was written. 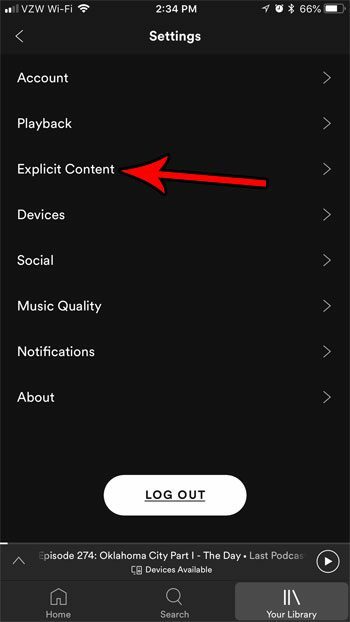 This is going to change a setting in the Spotify app so that songs that are tagged as explicit will be grayed out in the search results. After changing this setting you will need to provide your Touch ID to turn it back on. 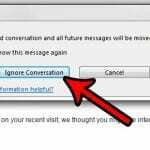 This setting seems to best suited for a parent that lets their child listen to their music on the parent’s phone, and wants to make sure that the child doesn’t accidentally hear anything explicit. This setting is very easy to change back if it’s the child’s own device and their fingerprint is enrolled on it. Step 2: Select the Your Library tab at the bottom-right corner of the screen. 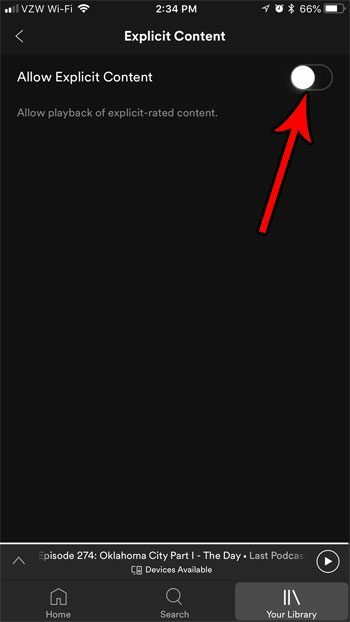 Step 3: Touch the gear icon at the top-right of the screen. Step 4: Select the Explicit Content option. Step 5: Tap the button to the right of Allow Explicit Content to turn it off. Now when you try and play a song with explicit content, any song that is tagged as explicit will be grayed out in search results. Tapping on a grayed-out song will bring up this pop-up. 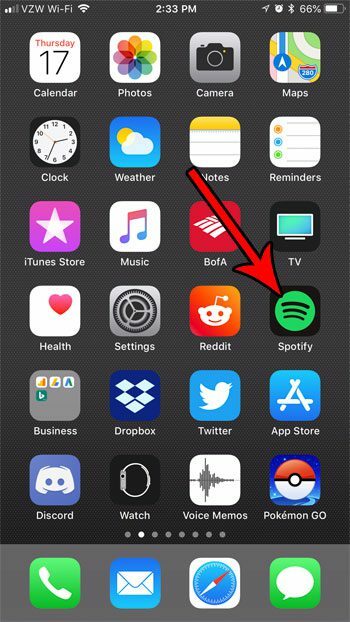 If someone taps the Go to Settings button, they will be taken to the Settings menu of the Spotify app, where they will need to provide a fingerprint to re-enable explicit content. 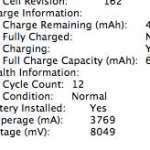 Is there a podcast that you enjoy listening to, and you want to download an episode so that you can hear it while you are traveling? 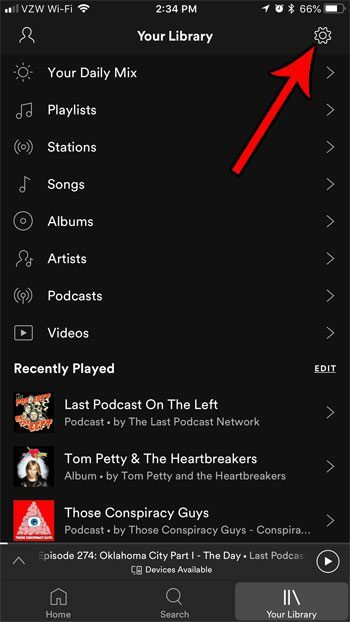 Find out how to download a podcast episode in Spotify so that you don’t need to waste data streaming it.